My niece Katie is like a daughter to me, well a daughter who I didn't raise, send thru school, or discipline! But a niece/daughter I spoil, go shopping with, take vacations with and share stories with. She pretty much knows what I like. So when she text me a few months back and told me I needed to check out this designer, I knew she would be right! 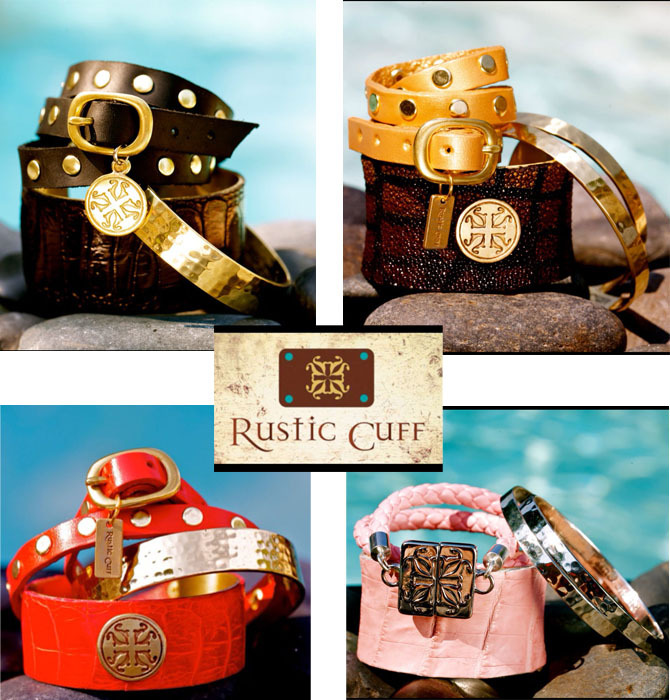 Meet Rustic Cuff!! Not only do I love her style and cuffs, she is from my hometown of Tulsa, and by way of Pensacola. My Grandmother lived there for many years and we use to visit Pensacola in the summers! It was an instant conection for me! What I love about Rustic Cuff Designs is such a long list I will summarize it with you in visual beauty ! See what I mean? Absolutely wonderful! I love them all! 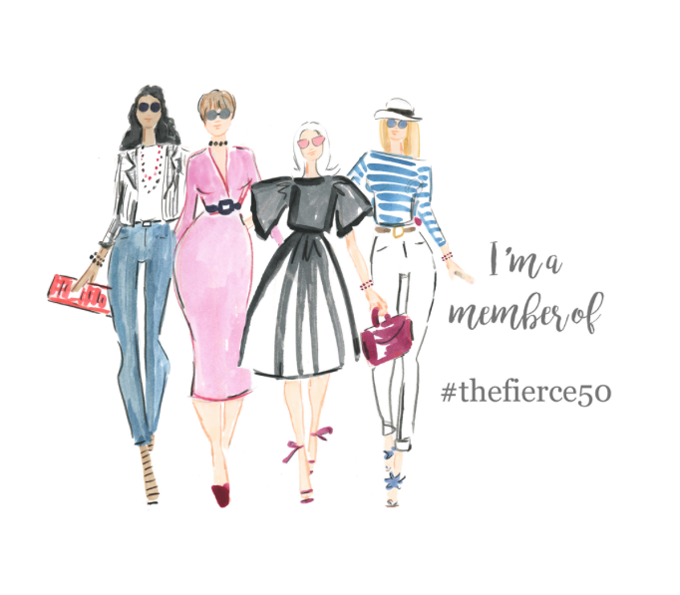 Her designs have been seen on the arms of Miranda Lambert, (several times), Robin Roberts on Good Morning America, Kathie Lee Gifford on the Today Show, and Elisabeth Hasselbeck on the View just to name a few! I asked Jill to share a little bit about herself. My own personal style is simple with flashes of color. I like to be able to blend in while at the same time, if I choose, to stand out in a crowd. Generally, I am drawn to what I call my "uniform"...which is my favorite pair of cowboy boots or flip flops (depending on the weather), shorts, and a black t-shirt. I accessorize with color on my wrist depending on how I am feeling when I wake up! 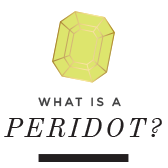 Where do you draw inspiration from when designing a new piece? I draw inspiration from things that are not necessarily trendy but from things that catch my eye and stand out. Things that are outside of the box sometimes. My daughters also help by giving me the thumbs up or thumbs down on my initial drawings! Layers. Layers. and more layers. Which piece would you say is a best seller? The monogram Stingray Cuff and any wrap with a logo magnet clasp. If you had to chose, which piece is your favorite? The custom pieces that someone created as a gift for a loved one always means more than anything else. Here is what Jill had to say about how it all began for her, and her love of cuffs! "After falling in love with all things “Cuffs” sometime in the late 90′s, I began the search for the perfect one. I loved leather. I loved metal. However, what I came to realize was the juxtaposition of joining the two mediums would bring me more satisfaction than either of those alone. Rustic Cuff was created late one night when I grew weary of searching for that perfect cuff and decided to create my own. What started off as a midnight hobby, making for friends and family, has now turned into a creative outlet with endless ideas and possibilities. This particular journey has brought extra joy into my life because it is the first time both of my girls are old enough to share in the process with me…designing, hammering, cutting, measuring, painting, dyeing, snapping, riveting, and simply just creating together!" Thanks Jill for sharing your story and your love of cuffs! Here are a few of the poolside collections that the winner will get to choose from. And YES, the set is for all three, or four together!! So now for the fun! 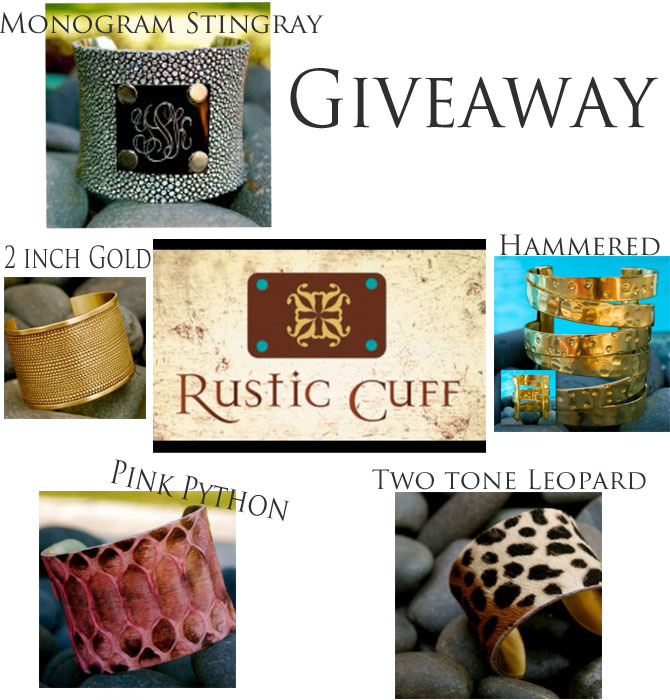 Enter to win a Rustic Cuff for yourself from any of the poolside collections designs. Just follow the steps in the rafflecopter form below. Good luck! Thanks for introducing me to another great designer, I'm torn between the candy apple red and orange poolside collection. I bought 2 of the Rustic Cuff bracelets when they were the featured Deals & Steals on Good Morning America. I absolutely love them - one was for me & one for my daughter. It was so hard to decide which one to give & which one to keep. I wanted both of them, but was a good mo & gave my daughter one. These are fantastic bracelets. 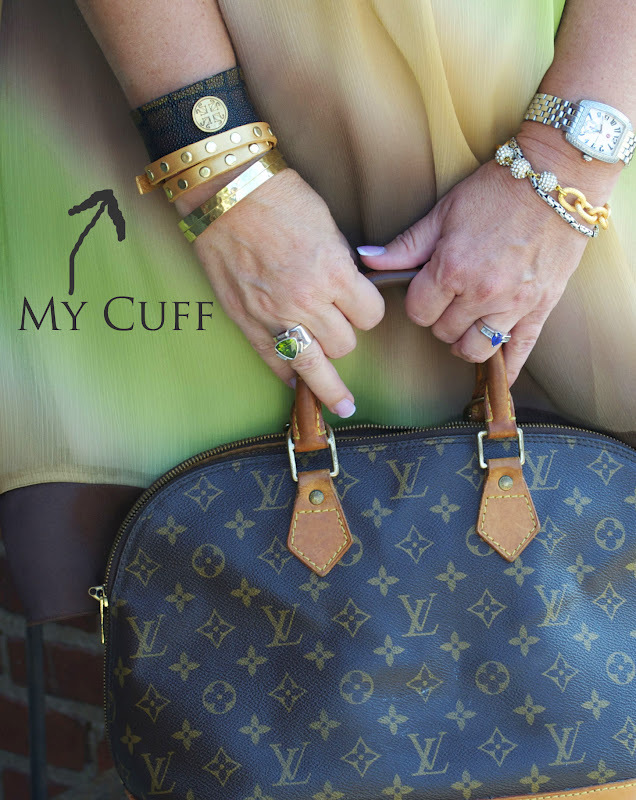 It's difficult to choose just 1 favorite from my collection, but I adore my custom stingray cuff with monogram! Great interview with Jill! She's such a delightful person in addition to being a fabulous designer!! These are gorgeous! Especially love the stingray monogram! 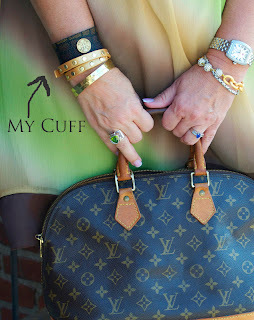 I love the monogram stingray cuff! I love the pink python cuff. 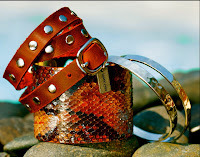 Hi Lisa, I just found your awesome blog thru Rustic Cuff's fb page. Love the turquoise & silver cuff!! --------------------- Love the Red Poolside Double Wrap Red Buckle Cuff With a 1 Inch Genuine Lizard Cuff and a 1/2 inch single Hammered Bangle. I like the red poolside collection. Love these!